My Sundays are always reserved for beauty treatments. You'll easily find me doing my nails, scrubbing my body, and/or applying face and hair masks at any point during the day. So it really is great when I have the chance to add new plush pamper products to my routine. I recently discovered both The Naked Goods and Argan Dew brands, and got to sample some of their most popular products. The Naked Goods products arrived in the most though-out package I have seen in a long time. The fact that so much thought was put into these samples made me instantly fall in love with the brand. Inside came a Lush Balance botanical mist, Neat Remedy and Desert Rescue face oils, Nutrient Boost eye serum, and a full-sized Lip Butter. 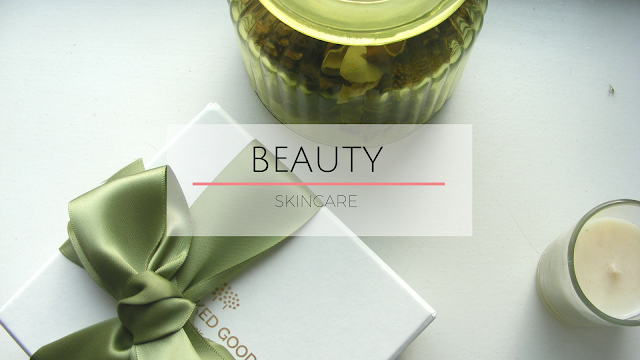 The face oils, full of goodies, are great at locking in moisture and soothing the skin. However, my favorite product in this mix is the lip butter. It is so rich and alleviating of dryness that you can instantly feel its effect. And what's more, there's no need to constantly reapply as its effect lasts for hours on end. For my hair, I have been applying Argan Dew treatments.The Replenishing Hair Mask is a powerful hydration treatment for dry and damaged hair. Applied much like a conditioner, simply massage it through wet hair, wait about 5 minutes, and rinse. I could instantly feel that my hair was less dry and well moisturized. The Miraculous Argan Oil is a post-wash treatment applied to damp hair before styling. It helps smooth the hair and add shine without being too greasy - just perfect for my oily hair type. So tell me, what brands do you love to include in your pamper days? 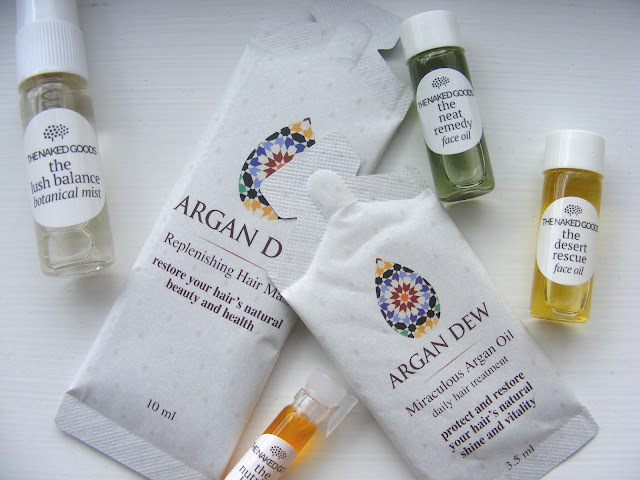 If you want to try out Argan Dew, follow this link and use the code 'argandew' at the checkout for 20% off. You're welcome. I could so do with some of this. I need to pamper myself before the baby arrives. Congratulations! Make sure you pamper yourself loads, both before and after the baby arrives - you deserve it! What wonderful items! I love having a good pamper time. We've spent today in London so I'm about to get a facepack on and rest in front of the TV! The long lasting lip butter sounds great, it's quite hard to find a long lasting one! My pampering is a little offbeat! I love a good bit of foot pampering because I do so much walking and hiking. A good soak and a scrub and I'm a happy footed bunny! I'm so bad at foot pampering at home, I typically just go in for a pedi whenever my feet are dehydrated. Tell me which products you use and I'll try them out!